Enchanting. That’s the first word that pops in my head when I recall Jessica Roux’s work. 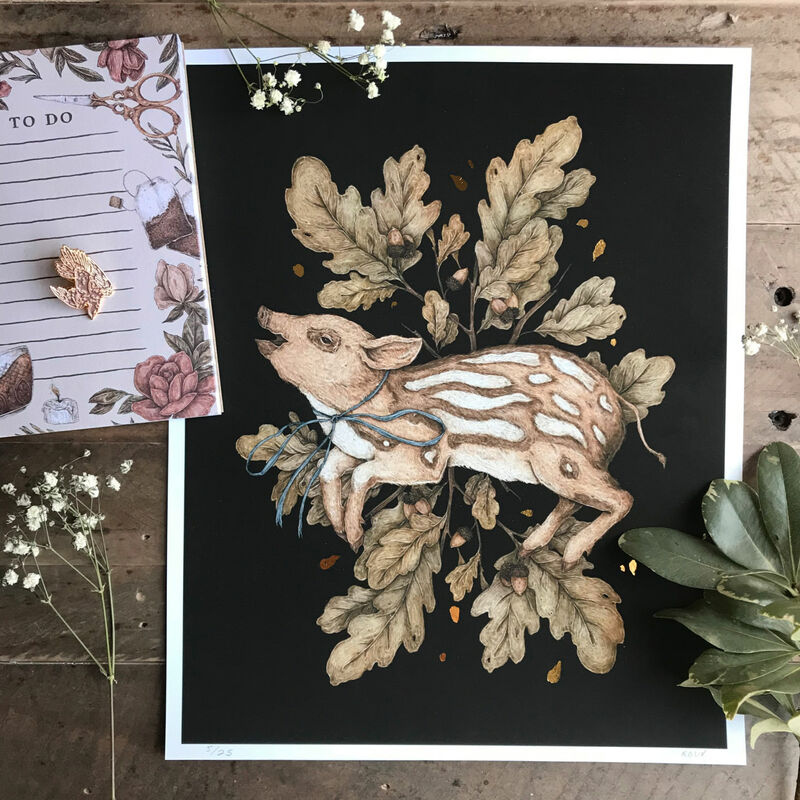 Her illustrations of flora and fauna lure you in and invite you to look closer, not only at her pieces, but at the wonders of nature that surround and abound in your own corner of the world. 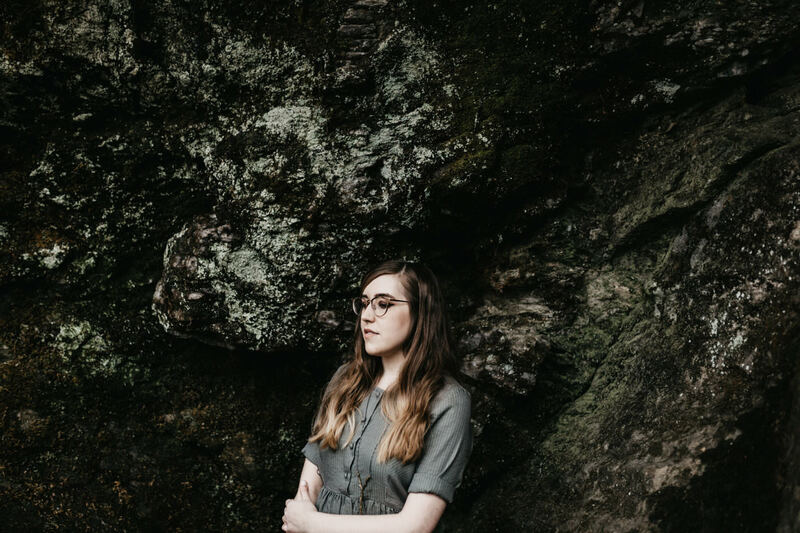 After talking to the Nashville-based artist to learn about her social media habits, we just had to dive deeper with Jessica. From drawing as a child to selling online to managing the many facets of working for yourself, she was kind enough to chat and offer up a glimpse into her life as an artist. How did you find your way to becoming an illustrator? Were you one of those kids who was always drawing and just never stopped? I’ve had an interest in drawing since I was young; my parents set up easels in our backyard for my sister and me to paint. From that point on, I loved drawing outside and being in nature. It wasn’t always my ambition to become an illustrator, however. I spent my freshman year at UNC - Chapel Hill studying journalism before deciding I wanted to transfer to the Savannah College of Art and Design to pursue working in the arts. I didn’t know illustration was a career people could have until I applied! I fell in love with it when I took my first illustration classes in my sophomore year, and I started getting my first few jobs during my senior year in 2013. How did you get started professionally? I started working on a few editorial assignments here and there while I was still a senior in college, and after graduation I interned at Tinybop, where I illustrated assets for kids’ educational apps. When my internship ended, I started illustrating full-time, partly for clients in different illustration industries like magazines and book publishers, and partly by making products and prints to sell online. When did you decide to start selling your work online? How do you decide what products you’ll offer in your online shop? I started selling my work online in early 2015 as a way to help support my career financially, but also as a way to explore and devote more time personal projects. I knew I wanted to offer prints, greeting cards, notepads, and enamel pins; they all had a relatively low first cost, so the investment was pretty minimal. Over the years I’ve been able to experiment with more things, from washi tape to bandanas to zines. What’s one thing you wish you knew when you started? In terms of having a shop, I knew pretty much nothing when I first started selling online - but I wish I invested in a label printer earlier on. I just got one, and it’s really cut my time spent shipping in half. It’s a worthwhile investment, and the sheer amount I spent on tape alone this holiday season was ridiculous. In terms of my illustration career, I wish I knew that I could say ‘no’ more. I always felt like if I said no to an opportunity, it would be my last one ever and no one would ever hire me again. For years, I overworked myself because of this, and it made me undervalue both my work and my time. Saying “no” because you’re already working too much, or because the budget is too low, are both totally OK! What’s the most challenging part of working for yourself and how do you deal with it? I love my job - there is nothing better than getting to draw pictures to make a living - but literally any part of my job that doesn’t involve actually drawing is a challenge for me. I don’t love paperwork, I don’t love packing and shipping orders, I don’t love answering emails, I don’t love chasing payments, and I don’t love self-promotion - but I do it all so I can get back to drawing! What does a day in your world look like? Most days, I spend my mornings answering emails, shipping orders, and doing admin work; then I spend my afternoons drawing and illustrating. I take a few breaks to hang out with my dog, eat, and browse the internet (I’m in the process of fixing up my house, so I’m always looking at furniture, tile, and how to DIY everything). I typically relax at night by watching TV and spending time with my husband and our dog. I work out of a co-working studio called the Warren, and my studio mates are my biggest inspirations. They’re all amazing and kind people. We all have such different styles and techniques, but we all encourage and inspire each other - it’s a pretty amazing place. My studio mates include Kayla Stark, Lauren Lowen, Vivien Mildenberger, Katie Turner, Meera Lee Patel, Guy Kopsombut, Ava Puckett, and Stacey Fahey. If you need more of Jessica’s work in your life (you probs do), we suggest you pick yourself up something nice from her shop and follow her on Instagram. You can also learn more about how she manages social media in our social study interview.